It’s that time again, and we’re excited to say that the First Friday Gallery Walk is this Friday, March 1, 2019. 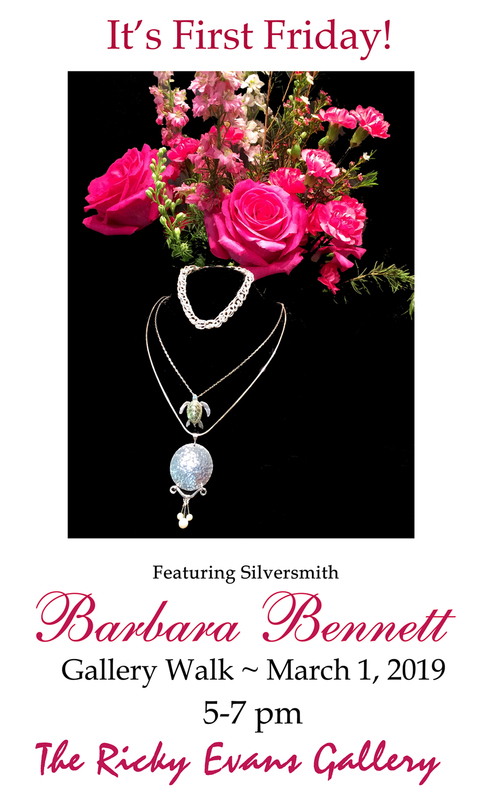 We have a special display of silversmith, Barbara Bennett’s, fine works. We’ll have refreshments, and we look forward to seeing you this Friday!